I'm back today showing all that I want to accomplish this year related to blogging. This year, I chose to make my own resolutions blogging related. I'd like to dedicate a large chunk of time this year to improving and growing my blog. I also want to take a minute to celebrate the fact that I got serious about my blog about a year ago. I'm so proud of all the amazing content I've created on my platform. I'm so pumped to see all that I create this year! Double my pageviews // I'm so proud of how many views my content got this year. I had to make several pageview goals for 2017, so I'd love to knock my goal number this year out of the park. Create an editorial calendar // I keep a Google doc for any ideas I have for content creation. I try to sort the ideas into months so that I have somewhat of an idea to post each month. I did a really great job of making an editorial calendar last year, but I struggled with sticking to the calendar. 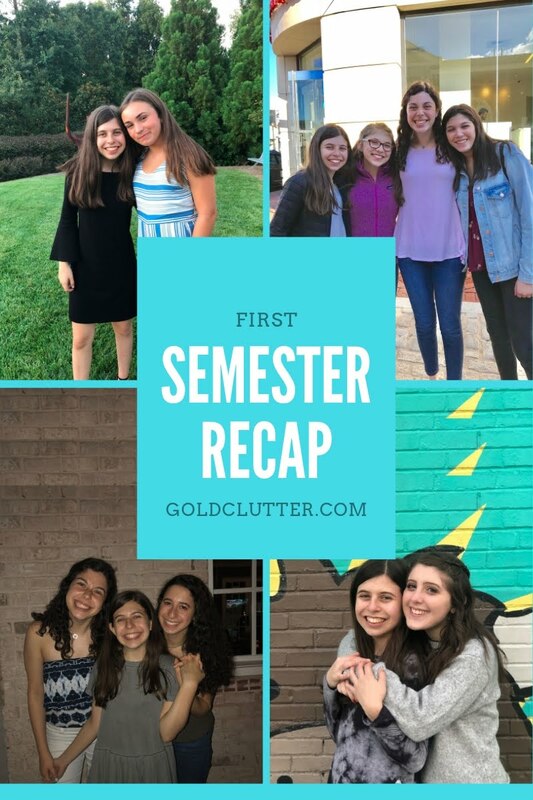 I'd like to create more a more practical calendar as I've been reminding myself that I'm a high schooler who does tech theater every day, participates in BBYO, volunteers a lot, spends time with her friends and family, and runs a blog. I shouldn't expect myself to create content for every single weekday as that's just not practical. Post consistently // I did a really great job posting some months and a not so great job posting other months in 2017. I'd like to work on improving my consistency. I think having an editorial calendar will help me achieve this goal. I also need to remind myself that I'm a teenager, so sometimes I won't have content up. I do think it would be great to spend one Sunday a month creating content for the blog. I always have an amazing week when my posts are written and scheduled ahead of time. Improve blog photos // I worked really hard to pay for a nice camera all by myself, but I don't use it as much as I'd like to admit. I just need to go out and practice taking pictures in order for me to improve. Along with this, I'd like to work on creating beautiful blog graphics. I focused on creating great graphics for my gift guides, and I'm extremely proud of how they turned out. Canva has been really helpful for creating graphics so far. Make videos // Video creation has been on the rise in the last few years. I'd love to be one of the pioneers in the blogging community who also creates videos. I've been practicing making videos, and its much harder to film than I expected to be. Create social media // I'm very excited about this goal as I know its super important that Gold Clutter have a social media presence. I only really know about Instagram, so I plan on starting there before growing to additional social networks. I can definitely say this one will be happening sooner rather than later. Find blog besties // I'm very proud to be a teen blogger, but it's very much a niche community that not many people are aware of exists. I initially struggled with finding other teen bloggers, but I've begun to find many others that I really like and admire. Once I've found my blogging bestie, I think it would be really fun to collaborate with them on a post together. Attend a blogging conference // I really wanted to attend Her Conference last year, but I was working then so it couldn't work out. I'm almost positive I'll be attending camp during this year's conference, but I'd love to start going to blogger meetups. It would be a great way for me to meet more people in the community and grow my blog. Create a newsletter // I always love seeing the creative content my favorite bloggers create for their newsletter subscribers. It would be such a fun time to create my own newsletter. I know it will create a great deal of time, I really hope I can create one this year. Use a blog planner // I have a Day Designer that I absolutely love, but I think it would be helpful to have a dedicated space for organizing blog related information. It will help me live an even more organized life. Additionally, I'd like to create an inviting space to blog at. Currently, I use my desk, but I'd like to spruce it up a bit. Work with companies // I had the great privilege of working with several companies this year. The opportunities I've gotten through blogging excitement me so much, so I'm thrilled to continue working with companies this year. This year is going to be an amazing year! I'm so excited to see all that Gold Clutter accomplishes this year. I was consistently blown away by all the positivity and love I got towards Gold Clutter, so I'm thrilled to be creating even more content this year. I think these are all great and achievable goals. Good luck! Thank you! 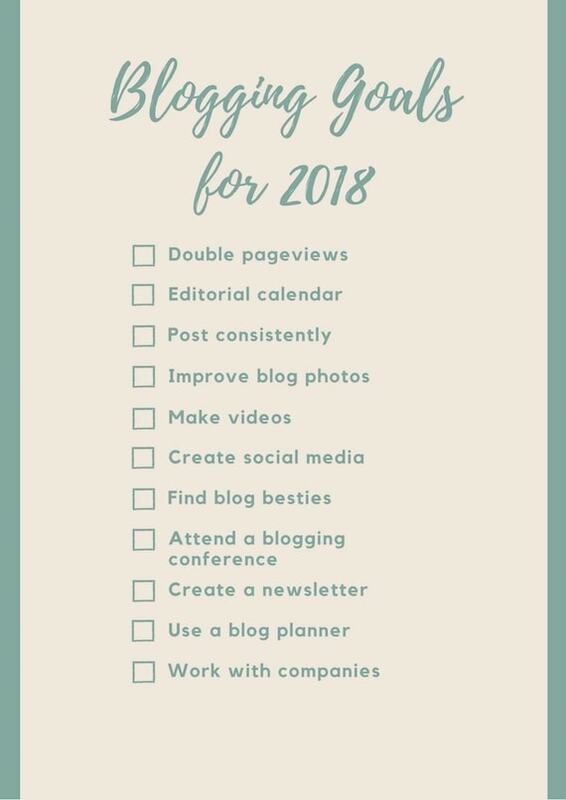 If I dedicate the necessary time to my blog, I'm sure I can accomplish these goals! Thank you! I really hope I can accomplish everything this year! Thank you! If you want to share your list, I'd love to see it. Attending a blogging conference is a GREAT goal! I went to my first in 2016 and it was incredible, I hope to go to another this year! I really hope I get to attend one this year! These are some amazing goals! I too have many of the same. Your goal to find a blogging bestie resonated with me! Blogging can be a lonely task if you don't have a community. 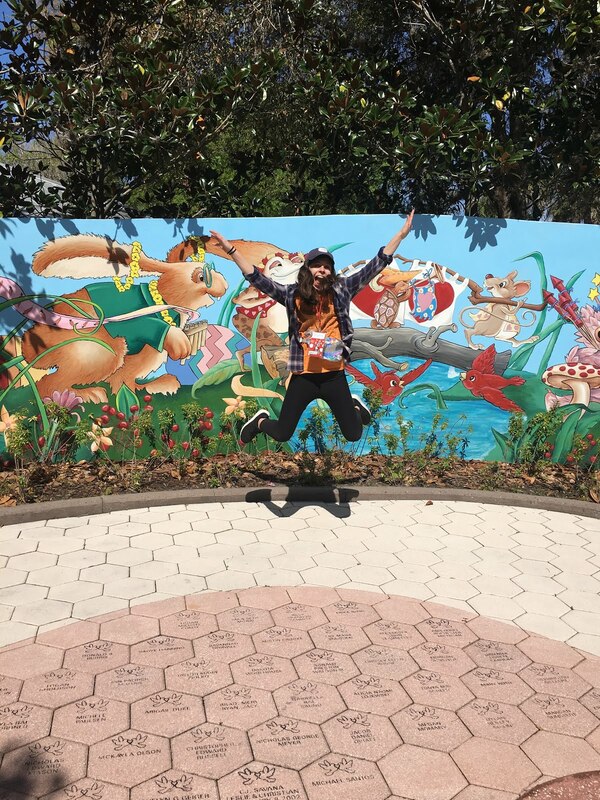 I am a college blogger so if you ever wanted to check out my website or collaborate let me know! I'd love to make a lot of blogging friends this year! I'm about to check out your blog. You go girl, these are all great goals! It's hard to post consistently since sometimes life gets in the way, but when I can pull it off, I'm always really proud of myself! Great blogging goals! I share many of the same ones for this year, especially with keeping an editorial calendar; I had such a hard time keeping one last year. I love your idea of organizing it! I was definitely surprised by how difficult it was to keep an editorial calendar. I hope both of us can keep an editorial calendar this year! These are great, and achievable goals! I would definitely like to start doing live videos, attend a blogging conference and work with brands. Cheers to a great year! It would be so much fun to attend a blogging conference! I really hope I get to attend one. That’s so cool that you got to attend a few blogging conferences. I really hope I get to attend one this year. These are such great goals! Blogging conferences are AMAZING! They're a great place to network and meet other bloggers! I’d love to attend a blogging conference this year! I really hope it works out with my schedule. You've got this! I love the act of writing down goals, sets your intentions for the year. Good luck! I really hope that writing down and sharing my goals helps me achieve them. Thanks! I hope both of us can accomplish our goals for this year! I hope both of us can crush our goals! Good luck on your goals! As for photos, it really just takes practice and a good eye. Totally agree with you! I'd love to practice taking pictures at least once a month. I am loving your goals! You got this! This is such a great list of goals! You got this girl! Thanks! I really hope I can rock all of my goals! I just got a camera, so I definitely need to take time to go out and take photos and practice using it! I think it would definitely help me use my own photos rather than free stock photos. Great goals! Totally agree with you on going out and practicing taking photos. I love reading blog newsletters. I hope I get to create one this year.